Berry Gordy, the founder of Motown Records, is a man who perfectly embodies the American Dream. After dropping out of high school, he unsuccessfully tried to launch a career as a professional boxer. Boxing fizzled fast. But Berry was undeterred. Within just a few years, Berry had managed to pick himself up by the bootstraps and was on his way to becoming one of the most successful record executives of all time. His Motown empire was, quite literally, built from nothing. Berry's seemingly never-ending ability to find and mentor young musicians into chart-topping superstars has resulted in an enduring musical legacy. This same talent for finding talent also made Berry a very wealthy man. How wealthy? As of this writing, Berry's personal net worth is $400 million. Berry's life and success should be inspirational to absolutely everyone out there dreaming of making it big, especially if you're starting from scratch. This is the story of how a young man from Detroit, with next to nothing going for him, changed the American musical landscape forever. 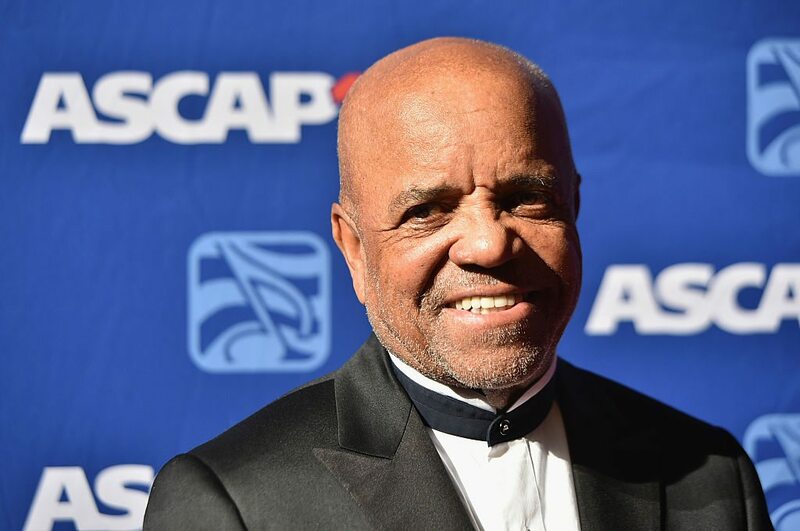 Berry Gordy was born on November 28, 1929 in Detroit, Michigan, the second youngest of eight children. His family was very close and everyone worked hard to become prominent citizens in Detroit. Berry had other plans, however. He wanted to be a boxer. The lure of fame and fortune that boxing offered was too difficult to resist. Much to the chagrin of his family, he dropped out of high school his junior year, and set out to make a name for himself on the amateur boxing circuit. For the next five years, he attempted to make a go at the sport, but did not have much luck. In 1950, he was drafted by the US Army to fight in the Korean War. He left Detroit for Korea, and hung up his boxing gloves at the same time. By the time he returned to the US in 1953, Berry had given up on the idea of a boxing career totally, and was instead interested in pursuing a career in music. He opened a record store near his childhood home that was exclusively dedicated to jazz. He also began writing his own songs. The record store went under, and like most men and women of working age in Detroit, he attempted to secure a job at the local Lincoln-Mercury plant. At the same time, his family's prominence in the community came to his rescue. An introduction to a local club owner led to his meeting singer Jackie Wilson. Mr. Wilson went on to record "Reet Petite", a song that Berry Gordy co-wrote with his sister Gwen, and writer-producer Billy Davis. The track was a hit overseas and a moderate success in the US. That was all Berry needed to stir up a little heat and attention in the music biz. Over the course of the next few years, he would go on to write several more songs for Jackie Wilson, one of which became a #1 hit. He then began writing for other artists, including Etta James. As Berry racked up a few modest hits, he had a very important revelation. It seemed clear to him that there was a very specific sound missing from the musical landscape at that time. At this moment, Berry decided to shift his focus to producing. Between 1957 and 1959, Berry produced tracks and albums for a number of up-and-coming artists, including "The Miracles", led by a young musician named Smokey Robinson. Smokey knew a good thing when he saw it, and encouraged Berry Gordy to think bigger. In 1959, with an $800 loan from his family, Berry launched Tamla Records, an R&B label. The first track released by Tamla was Marv Johnson's "Come to Me". It was a success. "Bad Girl" by The Miracles, was released the same year under Gordy's second label, Motown, and proved to be a success as well. He soon merged Tamla and Motown into the Motown Record Corporation in late 1959, and then set out to take over the airwaves. Within the first decade, Motown had grown to nearly 500 employees, and was pulling in $20 million annually. In today's dollars, that's nearly $150 million per year. Over the course of the next couple decades, Motown released hit track after hit track, introducing American audiences to an amazing array of music artists, including Mary Wells, The Supremes, Marvin Gaye, Jimmy Ruffin, The Temptations, Stevie Wonder, Martha and the Vandellas, The Commodores, Gladys Knight & the Pips, The Four Tops, and most famously, The Jackson 5. The name "Motown" also became synonymous with a particular type of music and artist. Everyone who came out of the Motown stable had massive cross-over appeal. Though his roster of talent was largely African-American, Berry Gordy's artists performed everywhere, and were popular with both white and black audiences in the US and abroad. He was known for being almost ruthless in his control of his artists, overseeing everything from their clothing, their hairstyle to how they talked when in public. His total focus got results, and Motown artists enjoyed a level of recognition that was previously unreachable for African-American artists. By the early 70s, it was clear the label needed to expand. Berry launched the Los Angeles-based arm of Motown, putting himself on the map right away by producing the Oscar-nominated film, "Lady Sings the Blues", starring Diana Ross. He then went on to produce other hit films, including "Mahogany", "The Wiz", and the now cult classic, "The Last Dragon". Along the way, he continued to sign and nurture more great musical talent, including Rick James, Lionel Ritchie, 98 Degrees, Erykah Badu, Boyz II Men, El DeBarge, Johnny Gill, Teena Marie, Brian McKnight, The Pointer Sisters, Queen Latifah, and Tony! Toni! Tone!. In 1988, Berry decided to sell his interests in Motown Records to MCA and Boston Ventures. The sale was finalized in June of that year for $61 million. That's $120 million in today's dollars. Subtract his initial investment in the label, and he made an astonishing $60,999,200 profit. Not bad. He also sold his interests in the Motown song catalog controlled by his subsidiary Jobete Publishing to EMI Publishing. The catalog contains 15,000 songs, 240 of which he wrote himself. A few years later, Polygram bought the entire Motown catalog, paying $330 million for the songs. The Motown label still exists, and has changed hands multiple times. After many years as part of other labels, it reemerged as its own entity under The Island Def Jam Universal Music Group in 2011. Its main offices are now in New York City. Artists signed to the current iteration of the label include Drake Bell, India.Arie, and Ne-Yo. Berry Gordy has gone on to publish a successful book about his life, entitled, "To Be Loved". He has been inducted into the Rock and Roll Hall of Fame, the U.S. Business Hall of Fame, and received honorary degrees from Michigan State University and Occidental College. In 2013, he became the first living musician to receive the Pioneer Award from the Songwriters Hall of Fame. He's widely recognized as one of the most indelible influences on the American music scene. He changed how artists should be treated. He broke down barriers regarding where artists could play. He introduced the world to some of the most successful musicians of all time. He utterly altered American musical taste. He is, by all accounts, a massive success. He's also a high school dropout, a failed pugilist, and a Korean War vet. 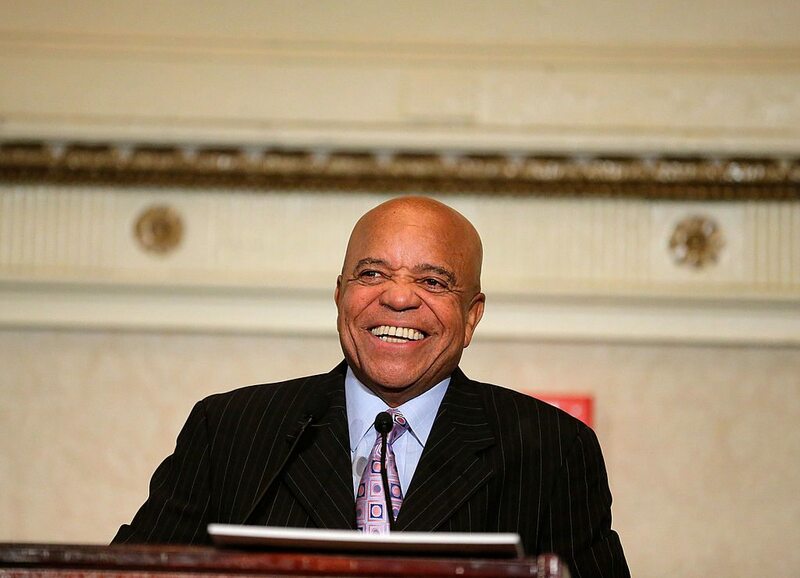 The next time you are questioning whether you will ever find success – remember Berry Gordy. He's living proof that success is a matter of doing the best with what you have. Keep that in mind, and at age 84, you too might have over 100 #1 hits to your name and be worth over a $400 million.